LOL! Have a great break - hope you're ready to go in the new year! as much as we may love our jobs time off is always welcomed. Have a fun break! 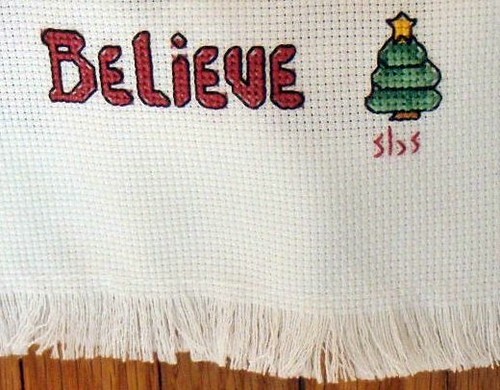 Your older sister's needlework is beautiful. They'll be so happy to see you again in the New Year... it's such a fun fresh time with little ones. have a great 2 weeks off! i know those preschoolers love that stamp! and the music. A break is always good enjoy it. ELK, time will be squeezed, as if it isn't already so i want to be sure that i take time to wish you a very happy holiday. good things, all the best!! that stamp photo is really nice. yes, time off is a wonderful thing! i unexpectedly had today off because of the snow storm, and i couldn't have been happier! have a great holiday from work! enjoy every second of your time off !! my daughter lives for the stamps on her feet at the end of 3-year-old gymnastics on Thursday mornings. This is beautiful and creative post. Have a wonderful time with your family and friends! I love that stamp photo! I have two weeks off from work, too. I work for a farm and we close the office down every year for two weeks for the holidays. It is wonderful! I always go back to work recharged, but never quite ready for the holiday to end. Two weeks starting today. Lucky you. We don't get off until half way through the 23rd. YIKES! 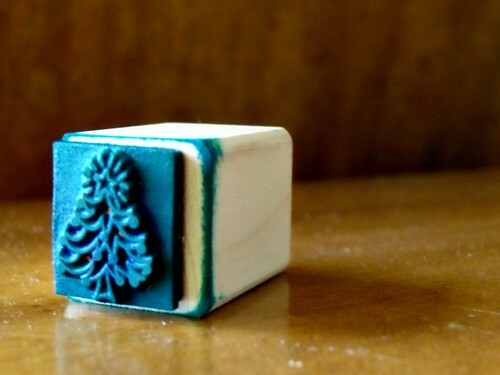 Only you could make a tiny hand stamp look so gorgeous.